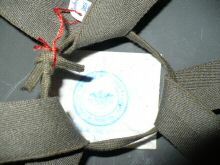 "Developed in 1998 reportedly for East Timor insurgency. 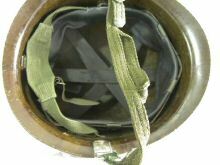 The nylon or whatever is about 8mm thick." 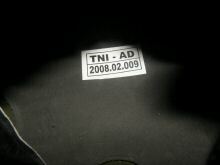 INDONESIAN? 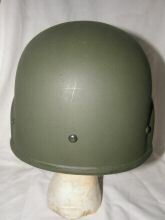 Sold as Indonesian, it certainly has some characteristics in common with other Indonesian types. 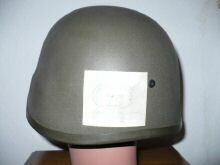 Apparently developed/converted from the South Korean product often known as the M80 Corlon. 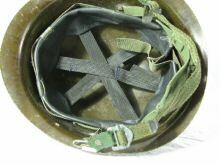 It has no label, markings, stampings of any kind. 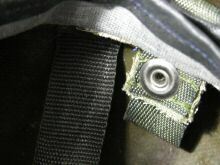 The liner-retention band is actually rivetted-in permanently, not removable. 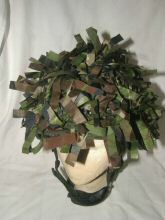 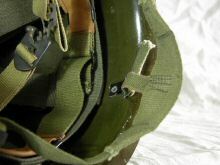 The headband is secured with pop-studs. 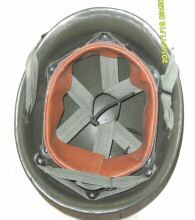 Compare the liner rivet array of the suspected Indonesian (left) with a known SKorean product (right). 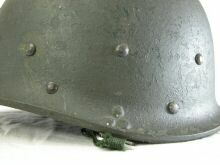 They appear similar until it is seen that the positioning of the upper line of rivets is actually different. 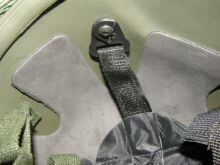 The two rivets fore and aft of the trinangular chinstrap-rivet cluster are in fact blind rivets serving no purpose in this configuration. 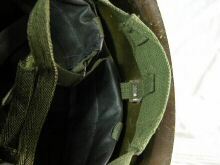 The nape-strap is of a very different construction in the 'Indonesian' (left) compared to the known SKorean (right). 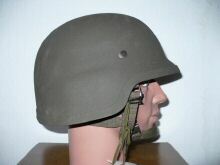 "Here we have the Schuberth 826 for Indonesia. 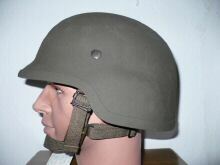 Schuberth sold 3000 helmets to Indonesia. 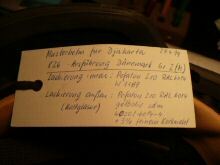 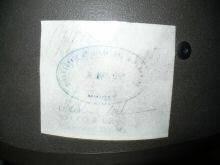 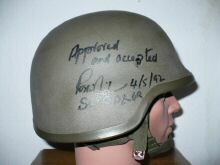 Here you see the sample helmet with the marking "Approved and Accepted" from the Ministry of Defence. 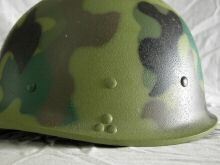 You find it on the helmets rear side and inside the shell. 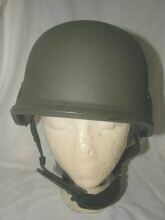 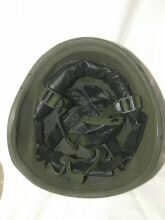 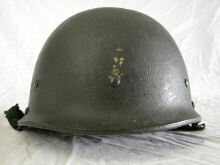 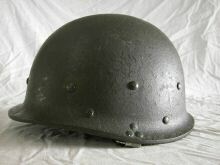 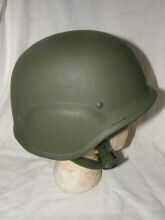 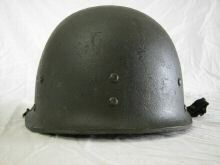 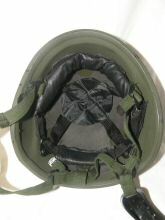 The helmet has the US style suspension, there are markings on the leather band too. 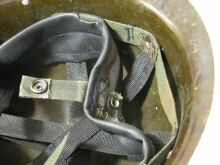 Inside the helmet is the Schuberth marking in white." 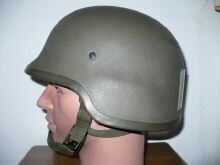 PASGT or SCHUBERTH 826 clone ? 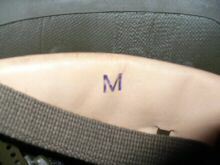 Correct designation not known. 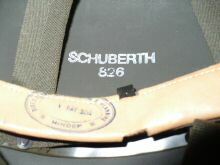 "Schuberth 826 for Indonesia. 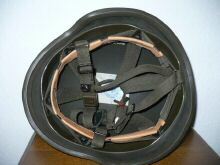 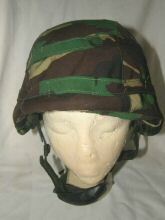 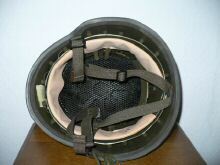 The sample helmet was made 27.04.1994, the NOSHA suspension is installed and fixed with ballistic bolts. 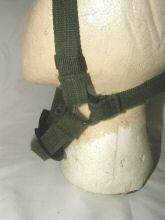 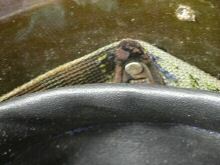 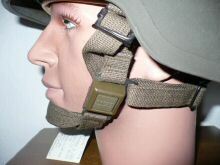 The chin strap has a unsecured survival buckle. 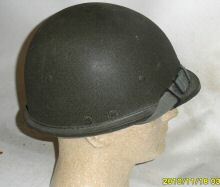 In the paint the company mixed 3% cork flour as you can read on the label."